The Brit Method requires you to make an initial deposit $350. Surprisingly, after doing so, you are still not given the secret to making money in binary options. You are basically supposed to do all of the work on your own and the system is not even regulated. Experienced binary options traders know that, while simple to understand, the world of binary trading can also prove complex and necessitate the use of advanced tools and analysis. If you believe you’ll receive what you need with The Brit Method, then sadly you’re mistaken. Basically you are throwing away your hard-earned money. The home page video catches your attention and appeals to your sense of eagerness to make money. But the system doesn’t offer much at all for traders. Even after making the first deposit, you don’t receive any special insights or techniques or tools to help you profit with binary options. In fact, based on what we found, hardly anybody has made money with The Brit Method thus far. So you’d just be freely handing over your money to the developers. So, though not fully confirmed, it looks like The Brit Method is, in fact, another scamming opportunity by someone looking to part traders with their money. Nothing on the website indicates to us that it has anything helpful and trustworthy to offer serious binary options traders. In addition, we also found a very similar site to the Brit Method. Many dodgy people within the industry create multiple sites, sometimes even simultaneously, that have the same look, feel, and purpose. This sign also points to The Brit Method as unreliable. After we completed the Brit Method scam investigation it looks like the Brit Method seems to be just another scam. 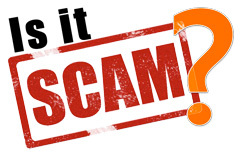 It has not been fully confirmed a scam as of this writing, but however, in our opinion, the information about the website does not give us an indication that it has anything legitimate to offer to those serious about binary options trading. Our team also found another website that is extremely similar to the Brit Method. The only difference is that the name of the founder and CEO. This is a strong red flag that this system is not reliable or legitimate. Do not take stock on any of the websites reviews or testimonials as they are not legit. These reviews and stories by traders are not in any way real testimonies. 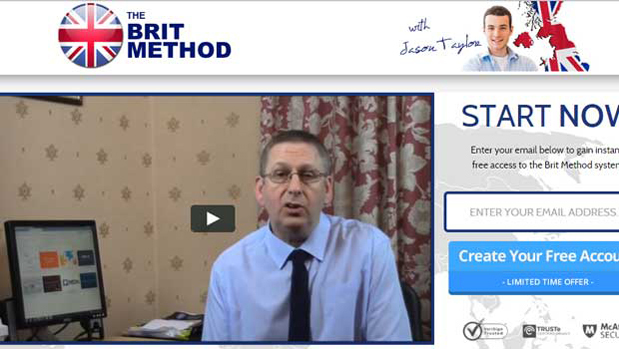 Jason Taylor in his video talks about the Brit Method system being absolutely risk-free for beginners for more than a month or so, with 100% free access. Although no one is supposed to avail this offer without a private invitation, it was evident to us that their website is open for registeration to anyone who tries to access it, as we were able to navigate through their supposed ’registration only’ part of the website without being invited. We also have major misgivings about this free offer being available to just 20 individuals. All of these facts point openly to this whole system being a rip-off. We found no mentioned that members are required to deposit your a fee to sign up for a broker account on their website. To get started, the Brit Method system requires you to make an initial deposit of £350 which is clearly depicted in the video demonstration. Jason taylor makes an offers to pay any investor £10,000 if their fail to rake in huge profits during the initial few months. Although this was offered multiple times in their advert, they somehow failed to provide any information whatsoever as to how they were going to guarantee this profit return. And since the whole system of ’The Brit Method’ is new so no one has posted a claim to the said amount yet. The Brit Method Autotrader provides potential investors with results depicting large sums of money passed on to members, but which is unsubstantiated. None of these facts provide any sort of help to an individual who is trying to figure out if this method is genine and profitable or just another scam. Moreover, the testimonials given in the Brit Method promotional video are provided by actors who possibly hired through micro job sites. Although the website claims the software is free, you do have to make the initial deposit of $350 with one the brokers recommended by the Brit Method system. As experienced binary traders, we should all be aware by now that binary trading is a complex market that requires advanced analysis and tools. However, if you think you are getting any of these tools with the Brit Method, you will be extremely disappointed. Honestly, the Brit Method leaves little to be desired when it comes to binary trading. The promotional video in the home page is eye-catching and appeals to those who are eager to make a profit. The truth is that hardly anyone has made a profit with the Brit Method to this date. 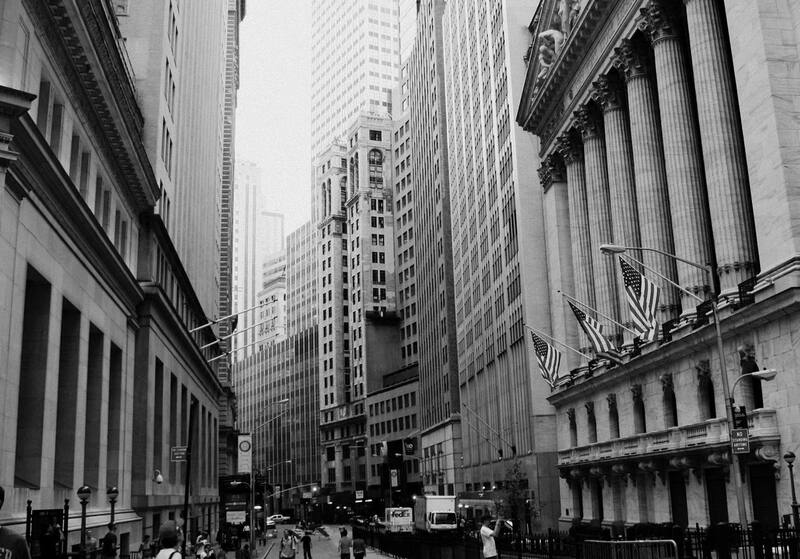 The site states that the system seeks out favorable conditions for traders in the financial market and then makes those trades automatically on their behalf. According to the developers, traders average over $3,300 profit daily and can expect a 97% success rate. We found no proof in our research that his system works as successfully as they claim it does. The website doesn’t trend well on Google Trends and we had a hard time finding sufficient information about it online. Therefore, we remain skeptical of the system’s stated accuracy. To this day, we haven’t seen a software system for trading binary options with such a high success rate for traders. And we have every reason to doubt that The Brit Method has somehow cracked the code or broken the mold. Our eyes fell with suspicion upon the website reviews and testimonials for this system as well. The social media reviews and testimonials for The Brit Method displayed on their site are false. While it looks like someone named Tamara tweeted a thank you to @britmethod, we couldn’t find the testimonial when we checked Twitter for it. No such account even existed! In fact, it’s highly likely that none of the reviewers they highlight actually sent them anything because they only show the first name in the tweets, not the usernames. Twitter doesn’t display first names only. Instead of believable praise, we actually found a lot of complaints about The Brit Method. One common refrain complained about the requirement of a deposit for access contrary to claims of being able to use the system for free. On top of that, the minimum deposit is $100 higher than most other binary options brokers. So traders feel that they get less for more money. Another complaint among traders involves the lack of a formula or secret that allows them to profit from the system. Several say they’ve not only failed to profit but actually lost all of their deposit while attempting to use the system to trade binaries. The creators more than likely purchased the photos displayed on the site from online stock photo sites like shutterstock.com or istockphohto.com. They don’t truly represent any gains made with profits from using their system. The countdown timer is just a scarcity tactic to make you believe that you’ll lose your spot to make money if you don’t sign up with the system right then and there. Lots of marketers online use this gimmick to entice you to part with your money sooner rather than later (or at all). If you come back to the site tomorrow or next month, it’ll restart to where it was when you came the first time. No one really knows who the creators of The Brit Method are. But whoever they are, they’re really an affiliate for the broker they recommend you sign up with. When you deposit money with that broker, they receive a commission for getting you to register and fund your account. 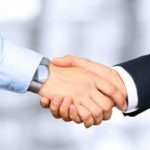 Their recommended brokers partner up with The Brit Method creators to scam traders out of their money. These guys act a bit like a fly-by-night operation, designed to get into your pocket by tricking you. Then when the walls start closing in on them, they’ll take the money and run. And they’ll likely creator another brokerage operation, under a new name, to do it all over again. 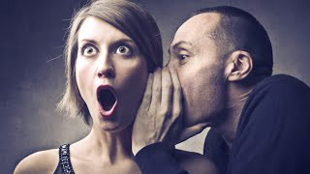 Experienced traders have been able to make connections between present and past scam brokers due to this practice. According to Jason Taylor, the Brit Method is the latest and greatest binary options software system available for traders at this time. He claims the system can make millions of dollars for its traders in a matter of hours. And best of all, there is no experience required. Jason Taylor claims the system is designed for both novices, as well as experienced traders. 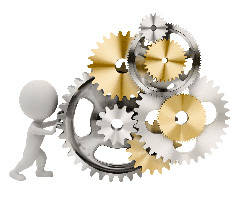 You are guaranteed immediate access to the system once you create an account. However, remember that before you can begin trading you must have an initial minimum $350 deposit. We feel that it is unfair that there is no guaranteed money making formula offered to help you trade once you have made your deposit. Our basic conclusion is that you should not invest your money in the Brit Method as you will get nothing in return. It is generally a waste of money and our honest advice is that you steer clear of this system since it promises to deliver what it initially claims. Jason Taylor states that the Brit Method is designed to be extremely user-friendly. According to him, the system searched for favorable conditions in the financial market and then executes automatic trades for its users. He claims the system has a 97% success rate as traders pull in an average of $3,350 in profits a day. We could find no legitimate proof that the system is in fact as successful as Taylor claims. The Brit Method does not have a high ranking on Google Trends. We also were able to find very little information on the Brit Method online. We feel that it is extremely unlikely that this system is as accurate as Jason Taylor claims. We have not seen a binary options software system with an accuracy rate of 97% to this date so we have reason to doubt that the Brit Method can have such a high rate of successful trades. We found quite a few complaints regarding the Brit Method. 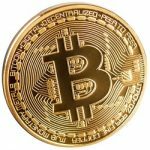 The most common one is that despite Taylor’s claims that the system is 100% free, traders are required to make an initial deposit of $350 to even access the system. The average initial deposit with most binary trading systems is $250 so users feel they are paying more for less. Traders are complaining that they are given no formula or secret to enable them to make profits with this system and quite a few traders have lost their entire investment using the Brit Method system. Promotional photos that are available on The Brit Method app’s website were bought from websites selling photos like istockphoto.com, or Shutterstock.com, etc. Solidifying the point that these are not genuine people who have used the system. The Brit Method’s sales video is performed by what appears to be actors hired on Fiverr who will perform for $5 a minute or hour in some cases. The aim of setting up the whole platform of the Brit Method is simply to drive investments to a broker who they are affiliated with. The people behind the Brit Method will earn a commision each time it convinces members to trade via the recommended broker. Brokers recommended by the Brit Method’s creators are scammers who hope to run away with your hard earned money. Images of social media newsfeeds provided on the Brit Method’s website cannot be verified. Following a thorough investing of the Brit Method, we feel that this Brit Method is not safe. The fact that we cannot find any unbiased interviews adds to the doubts we already have about this supposedly automated system. Upon creating our account, we have not yet matched the profits they initially guaranteed. At this time, we cannot confirm that the Brit Method is in fact a legitimate or reliable binary options trading system. So you very likely won’t receive anything of value in return for it. It has failed to deliver for traders what it claims it does. If you want to seriously trade binary options, you’d be better off looking somewhere else. 7 Binary Options review: The Brit Method: 1 stars. Thank you for this review. What trading software do you recommend instead? Option Robot or Automated Binary or something else? Option Robot has been the best in our tests. Is there anything you would recommend instead? TBH when I saw the video to John Taylor’s advert although I initially was tempted, after careful consideration I started to smell a ? ? ? ? so on that I thought ” If something sounds to good to be true” it generally is. It’s nothing but a con Stern Binaries is so please don’t join. Thank John. I got $800 from Option Robot last week! The Brit Method is a scam! Once you have learned the tricks of the trade, you can make money no matter what the others on here say. I would bet my house that they have never tried binary options, so it seems easy to create a scam. But they are easily recognizable by more experienced traders. Thanks for revealing this one. I am new here and I’ve been reading information about Neteller and Skrill on the forum, on the official site and also many reviews. The opinions are so mixed. What are you guys suggesting for a newbie? What is the safest method to fund my account? Greatly appreciated! Hi Kate. 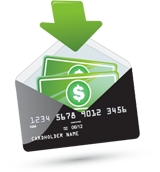 Both Neteller and Skrill are very safe options, so both will work just fine. Could anyone recommend me any reputable binary broker with flexible expires for high-how beyond one hour mark? Ideally, I want a broker offering 1:30 h, 2h, 2:30H … and so on, up to end of the day. Any suggestions? greatly appreciated! I am currently entwined with Binary Book (having been duped by The Brit Method) – I have requested to close my account, which they have declined because ‘I haven’t met turnover requirements’ – is there any way to extricate my cash, or do I kiss it goodbye?